All drugs are dispensed with a patient instruction leaflet, also known as a drug information leaflet, that provides important information relating to the use of the drug. The most important points in this package insert will be explained by your doctor or pharmacist but it is vital that every patient reads and understands the information on the leaflet. For example : Paracetamol is indicated for pain and fever. Contraindications refers to those conditions, physical, mental or emotional state as well as other signs and symptoms which may be present where a specific drug should not be used. A contraindication indicates that by using the drug in these instances, there is a chance of side effects and complications arising. Drug contraindications should not be ignored as these warnings are based on clinical research and the understanding of the potential pharmacological hazards of certain chemical interactions. For example : Aspirin is contraindicated in patients with gastrointestinal bleeding. What are Side Effects of Drugs? Side effects are the signs and symptoms that may arise as a result of using a specific drug. These complications are usually due to the pharmacological action of the drug, dependent on the dose, frequency and duration of use as well as the individual sensitivity and tolerance of the user. 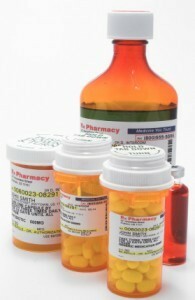 For example : Nausea and vomiting are common side effects of antibiotics. Warnings related to a specific drug serves as notice to inform the patient that there may be risk in using the drug in certain diseases or medical states. A warning is not a definite indication that the drug may cause any complications but should be used cautiously or avoided altogether in certain cases. For example : Hormone replacement drugs high in progesterone should be used cautiously in patients with cardiovascular disease. Drug interactions are the effects, either beneficial or harmful, that may arise from the mix of chemicals from different substances. Drugs may have a chemical interaction with other drugs, herbal remedies, certain foods and drinks as well as other substances. In most cases, drug interactions refers to the harmful effects that may arise from the combination of chemical compounds. For example : Warfarin may have a chemical interaction with the popular herbal remedy Ginkgo biloba that can cause excessive bleeding.